Historians have discovered recently the considerable colonial history of freemasonry, a central element of cosmopolitan sociability in Enlightenment Europe. 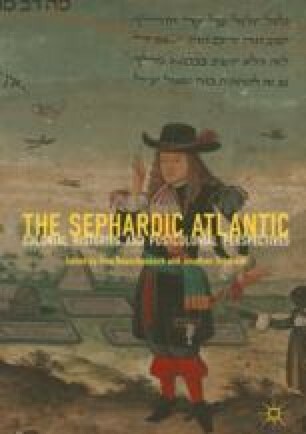 Jews—and especially Sephardim—played a major role in masonic lodges popping up throughout the imperial Atlantic world beginning in the 1730s. Based on empirical evidence from the major masonic and Jewish hubs in the British West Indies (particularly Jamaica), this chapter sets out to explore this relationship more thoroughly. It argues that freemasonry functioned as a locus of a “transitory sociability” (Eric Saunier) in a period of fundamental transformation for the Jewish diaspora in the late-eighteenth- and early-nineteenth-century British Caribbean. With the gradual weakening and dissolution of transimperial diasporic ties, Jews turned toward an institution that promised to support their becoming “imperial citizens,” while at the same time allowing them to retain and refashion certain diasporic ties beyond the British imperial realm.